﻿ Why Do Brokers Offer Massive Bonuses? Read This Before Depositing! Why Do Binary Options Brokers Offer Massive Bonuses? The other day I was looking at a broker called CTOption (which I strongly suggest avoiding for more than a few reasons). While looking at their bonus policy, I was startled to see that they offer match bonuses as high as 300%! It is pretty typical to see binary options brokers offering bonuses as high as 100%, but this is the first time I ever saw a broker offer a bonus this stupendously huge. I wondered what the catch was, and then quickly saw that a trading volume turnover of 70x the bonus sum was required. That certainly explained a few things. The truth is, though, even a bonus of 100% is quite substantial. We can contrast this with the types of bonuses typically offered by online betting sites. Sports betting is a similar industry to binary options trading in many ways, but it is far better established, and much easier to find trustworthy sites to join. Sports betting sites also offer match bonuses, but they are generally much smaller. They often range closer to 20-50%, and rarely wander as high as 100%. In fact, I have heard customers mention on more than one occasion that they are suspicious of a betting site that gives out a bonus as high as 100%. So this begs the question—why is it suspicious to give out huge bonuses? Why do binary options sites give out huge bonuses? 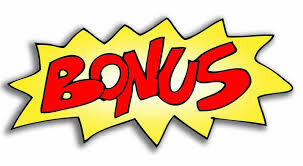 Why should you steer clear of a site that goes so far as to offer a bonus of 300%? Let’s do the math. Imagine that you deposited $10,000 of starting capital at CTOption and accepted their bonus offer of 300%. The company would give you a $30,000 bonus. That sounds awesome until you consider the massive turnover requirement of 70x. You have to trade the equivalent of 70 x $30,000 in order to actually withdraw that bonus. That comes out to $2,100,000. Yes, you read those zeros right; that is over two million dollars. Quite frankly, if you have $10,000 to your name, you are nowhere near being a millionaire. But to own that $30,000, a couple million dollars will have to pass through your hands. The odds of you ever achieving that are extremely low, even if you are following your money management rules. And that brings us around to the other main hazard of accepting binary options bonuses, and that is the temptation to use them. Returning to the example above, let’s say you deposited $10,000 into your trading account, and you own that $10,000. You could withdraw it at any time. But now you have $40,000 in your trading account, $30,000 of which in no way belongs to you until you meet the turnover requirement. Brokers give you these huge bonuses in the hopes that you will use them to trade. If you were to really follow your own money management plan to the letter, however, you would have to ignore them. Maybe your trading plan states that you will trade 3% of your total account on any one trade. That is a reasonably responsible percentage and a good money management plan. But what are you going to take that 3% out of? $10,000, or $40,000? 3% of $10,000 is $300. 3% of $40,000 is $1,200. Trading $1,200 is obviously more appealing and exciting than trading just $300. Imagine being able to make four times as much on each of your trades! In fewer than a dozen trades, you could double your original investment and have $50,000 to trade with. How amazing would that be? On the other hand, even if you did that, you would only have achieved a fraction of the turnover requirement to claim the bonus money! If you continued to do well, this might be irrelevant over the long run, since the initial boost would help you reach your goals faster, and the loss of the bonus money when you went to withdraw would be no big deal (unless of course the broker forbids you from withdrawing any of the winnings you made by investing the bonus money, in which case you have got a real problem on your hands). And what if you do not do so well? What if you go on a losing streak? All it would take is several small losing streaks or one big one to blow your account completely. All it would take in the example above is fewer than a dozen losses, and your account would be closed. You would lose $10,000 well before you had the chance to even think about meeting the massive turnover requirement the broker set to claim the bonus. Instead of gaining $30,000, you lose everything. Do you have to trade this way when you receive a bonus? No, you can simply leave the bonus in your account and ignore it until you have met the turnover requirement and it officially belongs to you. Until then, you would want to trade 3% of your original deposit, and not 3% of the total amount of money in your account. It would be up to you to keep calculating the “real” amount of money in your account. Another problem with bonuses is the one I alluded to a couple of paragraphs ago. Reasonable, trustworthy brokers will always list two balances for your account. One of those is a bonus balance, and the other is a withdrawable balance. The bonus balance cannot be touched, but anything under the withdrawable balance can be withdrawn at any time, as the name implies. This keeps your money separate from the broker’s money, and gives you access to your funds. Some brokers will close your bonus balance if you do this, and remove all remaining bonus funds. Other less trustworthy brokers on the other hand may not list two separate balances at all. Instead, they may list all of your funds under a single heading, “account balance.” What happens if you try to make a withdrawal then, with an active bonus? Who can say? The broker may suggest that all the money is now tied to the bonus since you have been using the bonus money to profit. In that case, you may find it impossible to withdraw funds at all. Reading this, you might assume you should never, ever accept a bonus, and that a binary broker even offering you a bonus is a sign of ill will. This is not necessarily the case. Binary options brokers do offer bonuses in part for the simple reason of promotion. Everyone loves the appeal of “free” money, even though it is not really free at all, and bonuses do attract customers who might otherwise go somewhere else. This is a perfectly innocuous motivation for offering a bonus, even an absurdly high one (like 100%). After all, with competitors offering 100% bonuses, a broker may not feel competitive unless it does as well. That said, the very fact that bonuses this hefty are the norm in this industry should give you pause. And if a binary options broker gives you the chance to accept or reject a bonus, you should strongly consider rejecting it. If you do accept it, accept it with caution and plan your money management with care. Customers will be attracted by the appeal of free money without reading or understanding the fine print. Customers will accept a bonus with a huge turnover requirement that they cannot possibly hope to meet. By trading on leverage, customers may violate their own money management plans and end up trading more than they originally had planned, causing them to lose money more quickly and close their accounts. In the meantime, customers may have a hard or impossible time closing their accounts on their own and withdrawing their remaining funds. You can see how this works out well for brokers and not for you. Of course, this isn’t the business model all binary options brokers use. There are companies that want to do legitimate business with long-term customers and build lasting professional relationships with them. These companies are not there to close out your account and claim all your money. They know that most traders will lose money and ultimately end up paying them through their own poor trading practices, not through the broker’s bad business practices. So they adopt good business practices and treat the minority of their smart, responsible clients with respect. They know those customers will pass on the word and help them build their reputation.